The multi-decade Treasury bond bull market reached another all-time high in July. 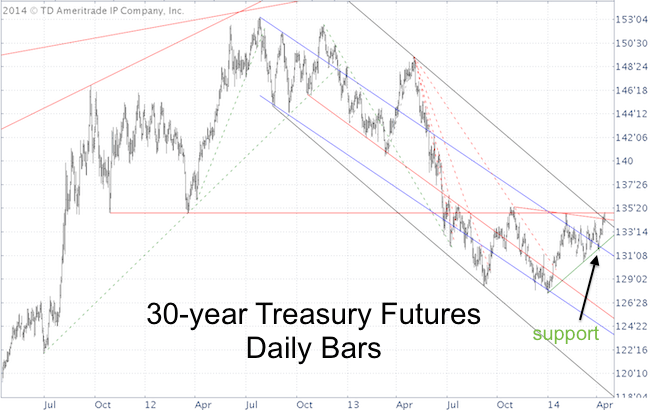 “The July 17 PRR stated that: ‘30-year Treasuries may bounce a bit to perhaps give us a second bite at the cherry.’ This bounce materialized this week, and Treasuries reached one of two targets (173’27 and 175’10) that should lead to a down side reversal. Treasuries never rallied to the second bounce target, but instead started stair stepping lower. We closed the short Treasuries position when trade first touched the 200-day SMA on September 13. Treasuries started to rally shortly thereafter. This rally brings Treasuries to an inflection point. From the July high to the September low, Treasuries seem to have traced out 3 waves (according to Elliott Wave Theory – EWT). Based on EWT, a 3-wave move is a counter trend move, while a 5-wave move usually marks are trend change (or trend continuation in other cases). Wave 4 followed by a wave 5 decline to new lows. This would suggest that the July high is a major top (red number labels). The beginning of another rally leg following a complete 3-wave correction (green arrow). If the rally from the September low is a wave 4, it should stop near the red resistance line or the black trend channel. Some may argue that the rally has gone too far already to be considered a wave 4 bounce. 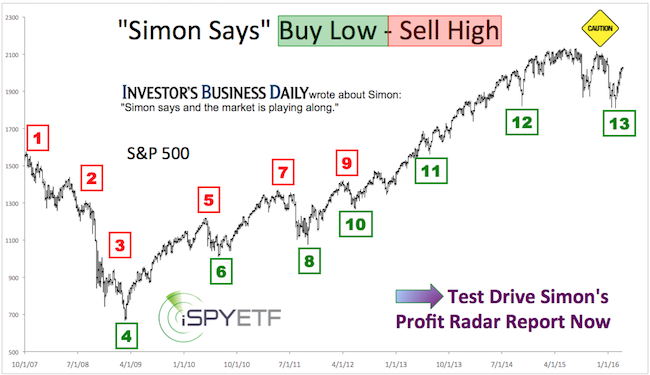 The Profit Radar Report monitors dozens of indicators to identify low-risk or high probability setups for various asset classes. U.S. equities are part of an intricate global financial ‘ecosystem.’ They do not trade in a vacuum. As part of something bigger, U.S. equities are subject to certain correlations, which provide clues about U.S. stocks’ next move. U.S. stocks do not trade in a vacuum; they are part of an intricate ‘ecosystem’ of worldwide financial markets. As with any ecosystem, financial markets adhere to the ‘cause and effect’ principle. Just like there’s a correlation between birds of prey and the mice population or bees and pollination, there are correlations between specific financial markets (some are directly correlated, others are inversely correlated). Understanding market correlations/connections can be helpful in forecasting stock market movements. Due to the carry trade, the yen has become an important force for the S&P 500. As part of the yen carry trade, U.S. investors borrow yen to buy U.S. stocks. The yen can be borrowed cheaply and U.S. stocks have delivered juicy returns in recent years. 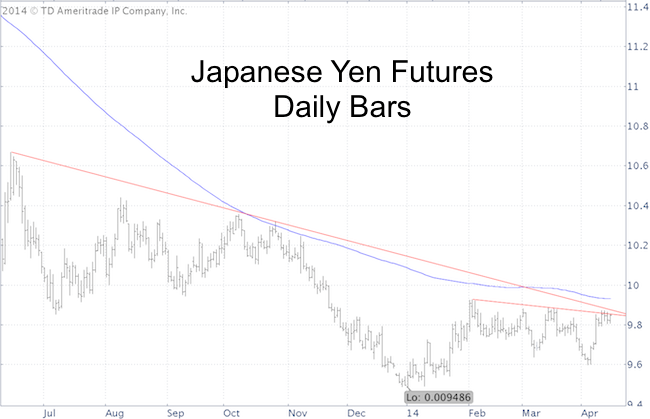 Courtesy of Japan’s Prime Minister Shinzo Abe, a falling yen makes paying back the yen even cheaper and has made the carry trade even more attractive. A rising yen would have the opposite effect on U.S. stocks. The Japanese Yen Futures chart below shows the yen butting against double trend line resistance and the 200-day SMA. Bond investors have a reputation to be smarter than stock investors. I like to monitor 30-year Treasury bond prices (corresponding Treasury ETF: TLT) as they tend to have an inverse correlation to the S&P 500. 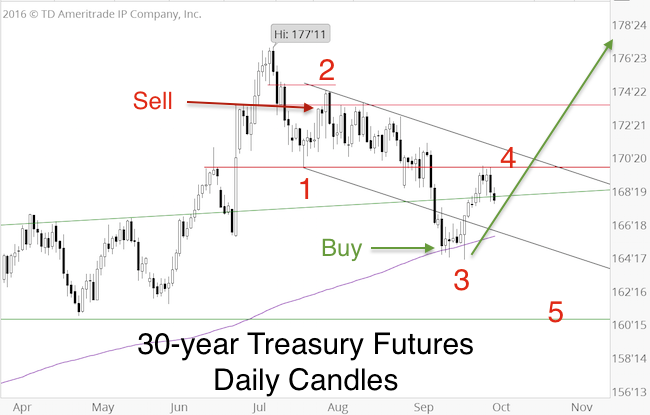 30-year Treasury Futures bounced from support and now trade above double trend line resistance. This bullish breakout (assuming it sticks), suggests lower prices for U.S. stocks. 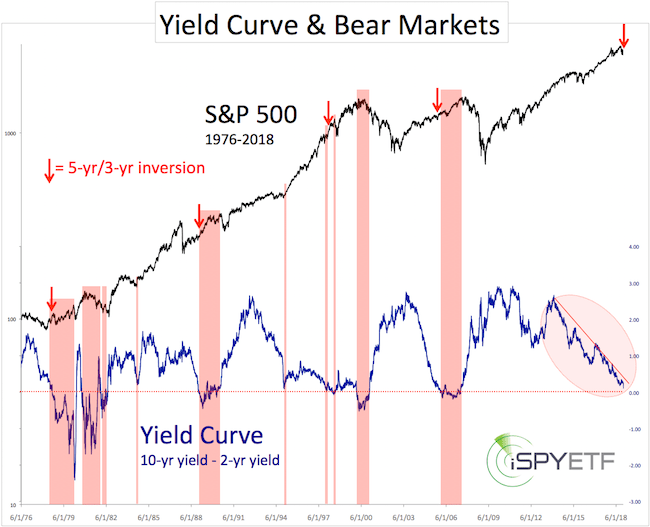 Although those charts don’t tell us the up side potential for the yen and Treasuries (or down side risk for the S&P 500), they do tell us that we are at a pivotal point in time. The S&P 500 (NYSEArca: SPY) chart confirms the message of yen and Treasuries and provides clear ‘points of ruin’ or must hold support levels. 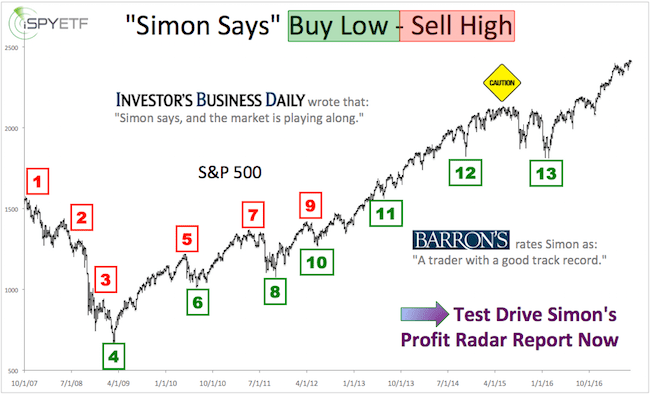 Like detectives, investors are always searching for clues about the market’s next move. Unfortunately some clues turn out to be misleading. 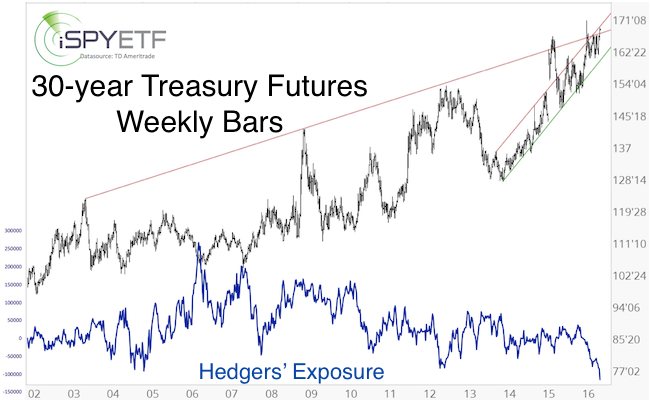 A false Treasury ETF (TLT) breakout just sent investors in the wrong direction … and may do so again. I’m a big fan of ETFs, but when analyzing an asset class, the analysis should be based on the purest representation of that asset class. 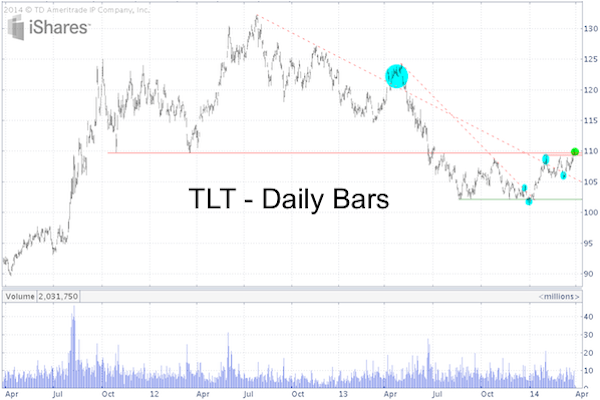 A number of technical analysts spotted a bullish TLT breakout on March 27. TLT is the iShares 20+ Year Treasury ETF (NYSEArca: TLT). TLT’s breakout appeared like a ‘fake out break out’ because the 30-year Treasury Futures (ZB), a purer representation of Treasuries, didn’t confirm the breakout. The first two charts below (featured in the March 28 article) show the discrepancy between TLT and ZB. In short, TLT is above resistance (green bubble), ZB is well below important double resistance. 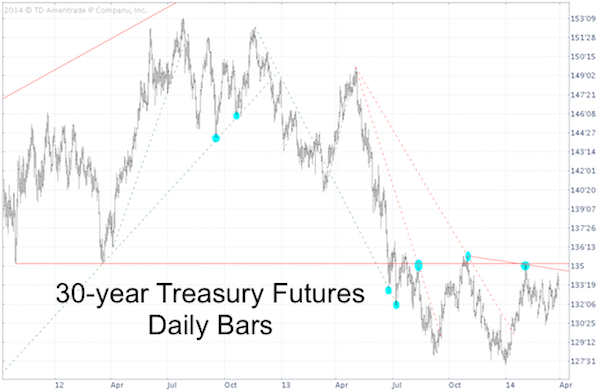 The performance of 30-year Treasuries can be a powerful tell tale sign, as Treasuries often move in the opposite direction of the S&P 500. A Treasury breakout would likely have coincided with an S&P 500 breakdown. The third chart zooms in on 30-year Treasury futures (ZB) and highlights the performance since March 28 in blue. We see that ZB was rejected by resistance, but more importantly, ZB is now trading right on top of short-term green trend line support (green arrow). This means that it will probably takes a drop below support to unlock lower prices for ZB and higher prices for the S&P 500. Just like 30-year Treasuries have found support, the S&P 500 is dealing with key resistance. The long-term Treasury ETF (TLT) just saw a technical breakout above resistance. This is bullish for TLT (and bearish for stocks), but it may be a premature fake out. Here’s how to get confirmation for a real Treasury breakout. 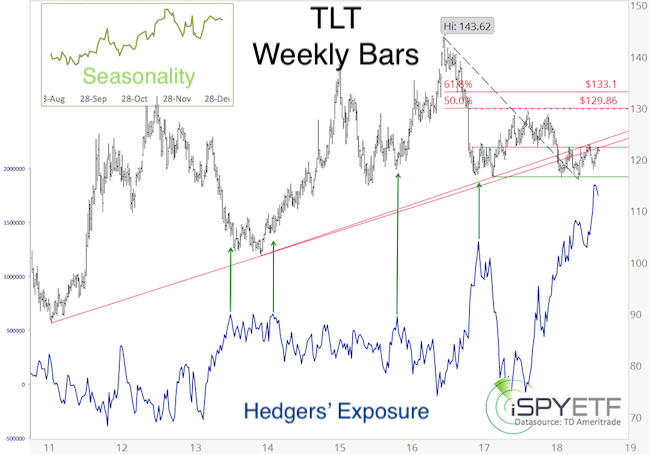 A number of technical analysts believe to have identified a bullish technical breakout for the iShares 20+ Year Treasury ETF (NYSEArca: TLT). The TLT Treasury ETF chart below highlights Thursday’s breakout (green bubble). At first glance, TLT’s push above resistance qualifies as a breakout. As great as ETFs are, I personally prefer to use the purest representation of an asset class as a foundation for my analysis. For long-term Treasuries, that’s the 30-year Treasury Futures (/ZB). The 30-year Treasury Futures chart looks slightly different. Trade has not yet broken above resistance. Both charts include all (trend line) support/resistance levels and how prices reacted (blue bubbles). 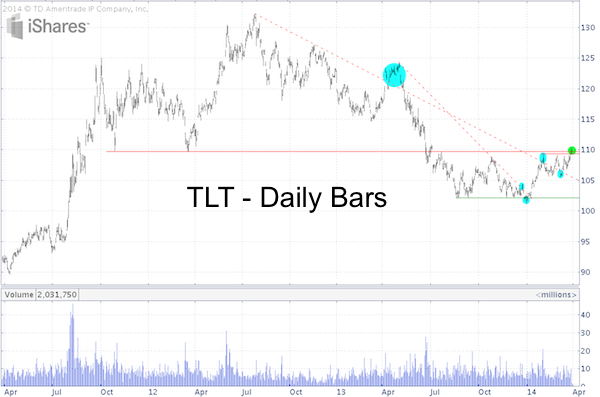 TLT has been more prone to false breakouts or breakdowns than futures. 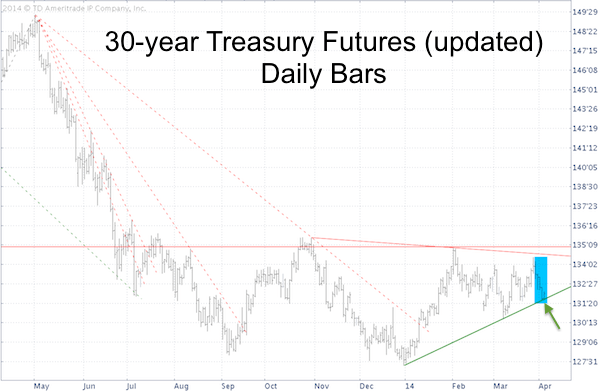 This doesn’t mean 30-year Treasury futures won’t break out. Bullish TLT action may act as a magnet and pull prices higher. The prudent approach is to wait until futures confirm TLT (especially sinse TLT’s breakout didn’t occur on highly elevated volume). The action of Treasuries may also provide important clues for the S&P 500 (SNP: ^GSPC). The S&P 500 has been stuck in a rut for all of 2014 and a Treasury breakout may coincide with an S&P 500 breakdown. Just as Treasuries have to confirm a bullish breakout, the S&P 500 has yet to confirm a break down. Are stocks ripe for a deeper correction or is the 5%+ January hiccup – the biggest in well over a year – already in the rearview mirror? The stock/bond ratio provides a dimension not often considered. The S&P 500 (SNP: ^GSPC) just had its first 5%+ correction in well over a year. Some say that’s bullish, because it brought prices down to levels that spark new buying. 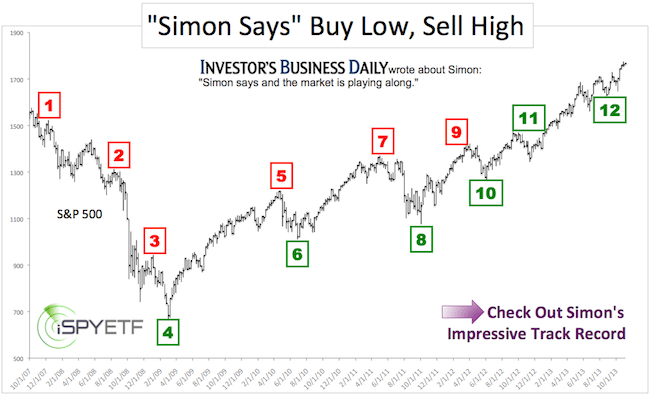 Others point to a potentially bearish technical breakdown at a time when stocks are over-loved, over-valued, and over-hyped. As the old saying goes, there are always three sides to an argument: His, hers and the truth. We use the SPDR S&P 500 ETF (NYSEArca: SPY) as proxy for stocks and the iShares 7-10 Year Treasury Bond ETF (NYSEArca: IEF) as proxy for bonds. The S&P 500 ETF – SPY/IEF ratio chart below shows the SPY/IEF ratio vacillating between support and resistance. 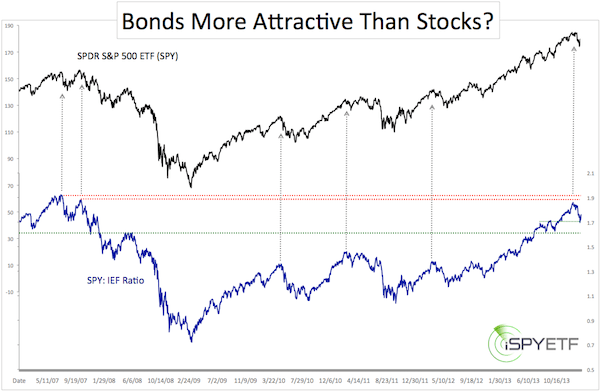 The SPY/IEF ratio rises when the S&P 500 moves higher and bonds move lower. A spike in the SPY/IEF ratio accompanied every S&P 500 high. This includes the most recent January high. However, the SPY/IEF ratio did not touch resistance at the most recent high. It also didn’t touch support at the most recent low. Nothing says that resistance or support need to be met, but often such support/resistance levels act as magnets. If the SPY/IEF ratio is still in need of touching both support and resistance levels, as a result, we conclude that the January high didn’t mark a major top and last week’s low didn’t mark the end of this correction. Obviously, this would translate into exciting times ahead.